But somehow the temperature (when it’s above -40°) just doesn’t seem so bad when it’s expressed in Fahrenheit. “Holy smokes, it’s twenty-one degrees!” just doesn’t have the same impact. Despite my origins in the great white north–which many think would make me invulnerable to cold–most Americans I know don’t seem to complain about the temperature until it’s hovering near zero F. I find whole situation to be a real noodle-scratcher. I won’t argue that it could definitely be worse. There are many colder places on the globe; for example, right now in Oymyakon, Russia–generally considered to be the coldest inhabited place on earth–it’s -53° C (-63° F). Vostok Station, Antarctica (a Russian research station) boasts the title of Coldest Temperature Ever Recorded (at ground level) on Earth : in July 1983, it reached a harrowing -89.2° C (-128.56° F)! Vostok Station by Josh Landis, NSF. Austral Summer 2000-2001. USAP Photo Library. How, um, quaint. At least it has good reviews on Google. But, for all the horror this frigid wasteland might induce, temperatures on earth are child’s play when considered on a universal scale. 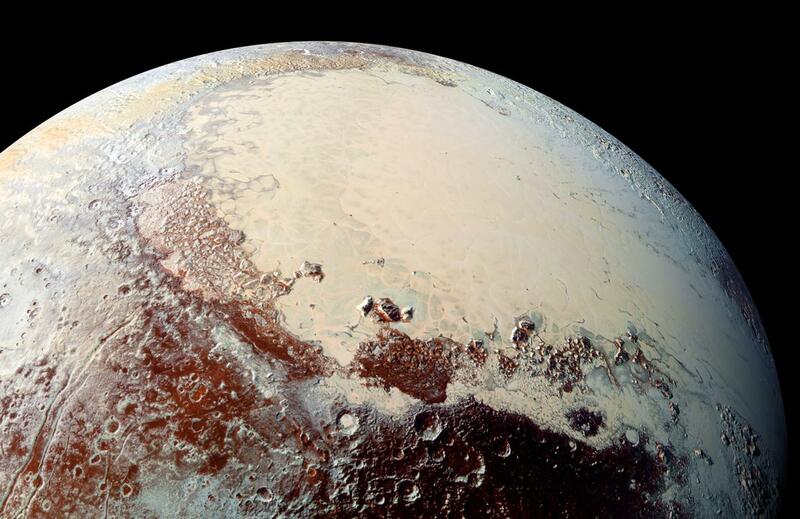 The surface of the “dwarf” planet Pluto, for example, has an average temperature of -229°C (-380° F). Yes, I those are indeed sarcastic quotation marks around the word “dwarf.” I’m writing this from Illinois, and folks ’round here don’t take too kindly to this “not a planet” talk. I’m not kidding; Pluto discoverer Clyde Tombaugh was born in Streator, IL. Read the full resolution here; it’s one sassy piece of legislation! Planet or not, Pluto has been a hot topic in the news for the past year; on July 14th, 2015, NASA’s New Horizons space probe made its closest pass by the planet dwarf planet, flying an unprecedented 7,800 miles (12,500 km) above its surface. Just over nine-and-a-half years after it was first launched, New Horizons had completed its primary objective, and the probe sent back some of the most incredible images in the history of photography. Too bad for you, Neptune; looks like planetary status isn’t what it used to be. You can find some of the New Horizons images reproduced in numerous scientific blog posts (I could recommend Phil Plait’s Bad Astronomy, which had 55 posts about Pluto in the past year alone), or on NASA’s New Horizons mission page. But, if you want a more comprehensive collection of NASA’s images of Pluto, organized in a single database–including earlier missions–you need to check out Cal Tech’s Jet Propulsion Laboratory (JPL) Photojournal. The homepage features an interactive solar system; to delimit your image search, simply click on a specific astronomical object/class of objects. This is where Pluto’s official non-planet status really has an impact at a human scale, since, frustratingly, it is now grouped with all the other dwarf planets/trans-Neptunian objects/plutoids. However, it does provide a good opportunity to explore the Photojournal’s search feature. If you only want to look at images from New Horizons, you can use the “Mission” drop down menu to do so. New Horizons is outfitted with several different pieces of photographic equipment, so if you’re interested in that level of detail, you can use the “Instrument” drop down to specify. Clicking on a thumbnail will take you to the image’s catalog page, which includes the image, its associated metadata, links to full-resolution TIFF and JPEG images, and the complete caption originally included with the image when it was released. A very cool feature of the catalog page is that most of the metadata is hyperlinked to other NASA webpages that give additional information. For example, I was particularly taken with PIA20291: Color Image of Pluto. As you can see, this is one of the New Horizons images, taken by the probe’s Long Range Reconnaissance Imager (LORRI). I know from clicking on the hyperlink in the metadata that LORRI is an approximately 20 pound digital camera outfitted with a telephoto telescope (in layman’s terms) in order to provide the highest resolution images of the flyover. Color Image of Pluto. Courtesy NASA/Johns Hopkins University Applied Physics Laboratory/Southwest Research Institute. Retrieved from JPL Photojournal. High resolution indeed. 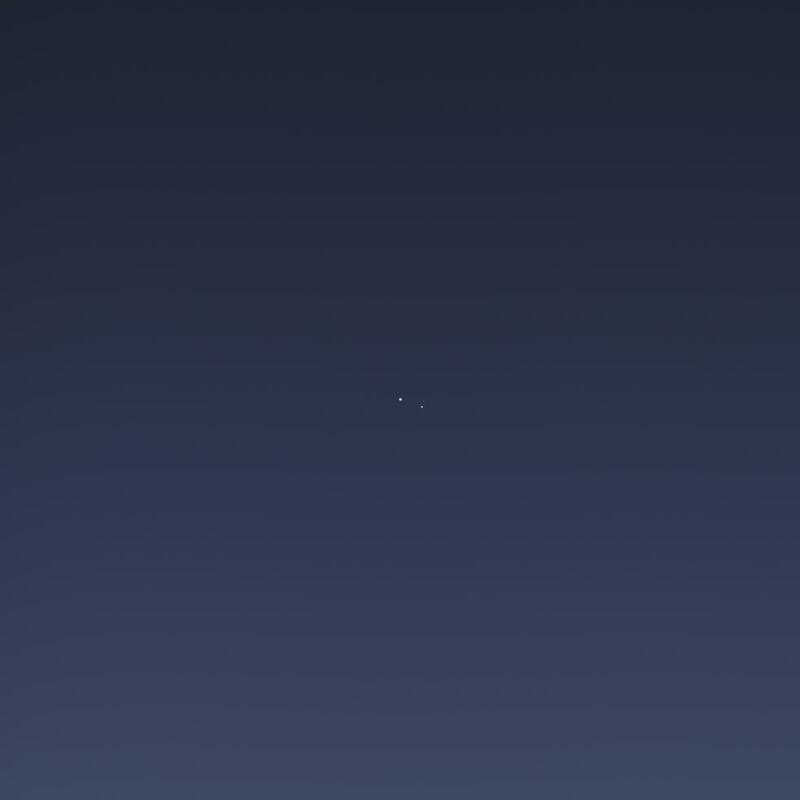 It’s really breathtaking not only for its quiet beauty, but for its sheer historic monumentality; this is one of the only close-range images of Pluto in existence, taken by one of only five man-made objects to travel this far from earth and the fastest artificially-accelerated object ever made. The only man-made things to go farther are the Pioneer 10 and 11 probes, and Voyager 1 and 2. New Horizons is even set to overtake the Pioneer probes in about 100 years or so, which will make it the third most-distant man-made object ever. So if you’re feeling downright freezing during the next few weeks–whether you live in Illinois or are stationed at Vostok Station–consider this: as of February 11, New Horizons is currently 3.3 billion miles from earth (5.3 billion km), 157 million miles (253 million km) from Pluto, and still nearly a billion miles from its next target, Kuiper belt object 2014 MU69. It has spent 10 years drifting through the chill of space, an unfathomable -270.45° C/-454.81° F.
See? It could definitely be worse. Cold as it is, in my opinion the stuff in space is more beautiful than even the most beautiful snowscape. 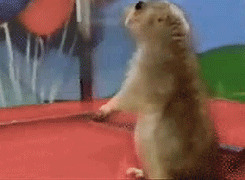 Keep scrolling to see what I mean. Click on the images for links to full-res views (seriously, do it! They’re amazing!). Further information can be found in the catalog pages which are linked in the image captions, or for a few quick facts, hover over the images for the alt-text. 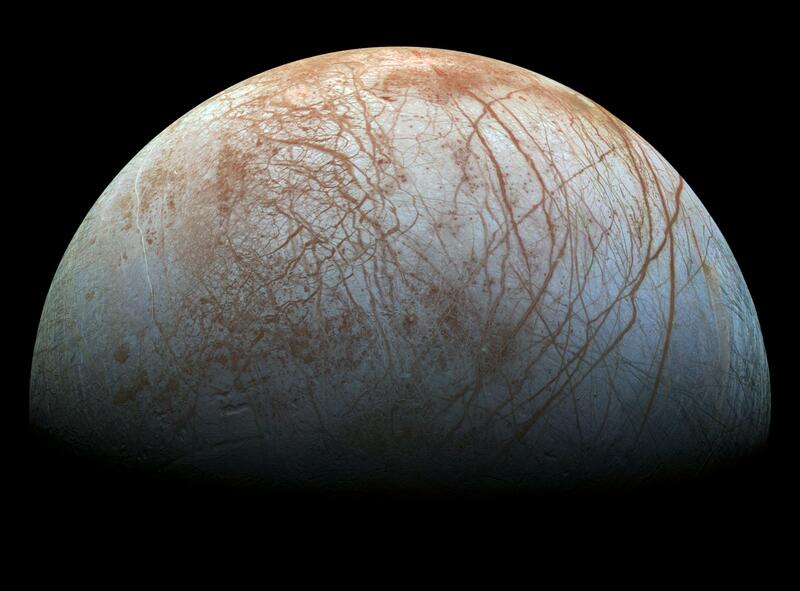 Europa’s Stunning Surface, 1995-1998. Courtesy NASA/JPL-Caltech/SETI Institute. Retrieved from JPL Photojournal. Solar Activity Seen at Sunspot Site Tracked by Mars Rover, July 6, 2015. 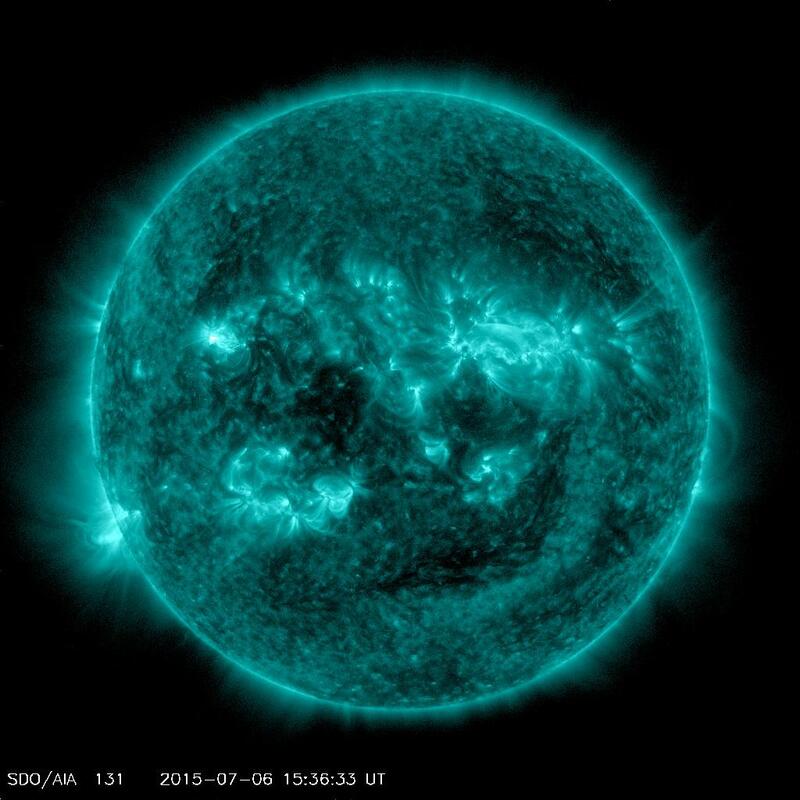 Courtesy NASA/GSFC/SDO. Retrieved from JPL Photojournal. Seeing Beyond the ‘Monkey Head’ [Star-Forming Region NGC 2174], August 20, 2015. 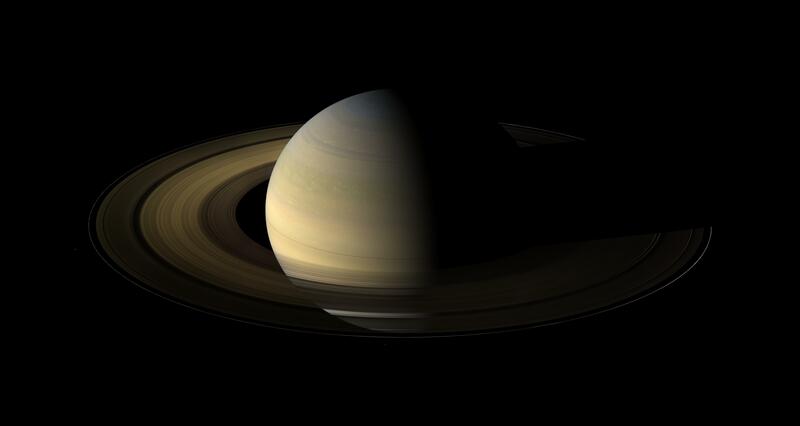 Courtesy NASA/JPL-Caltech. Retrieved from JPL Photojournal. Sputnik Planum, in Color [Pluto], October 15, 2015. Courtesy NASA/Johns Hopkins University Applied Physics Laboratory/Southwest Research Institute. Retrieved from JPL Photojournal. 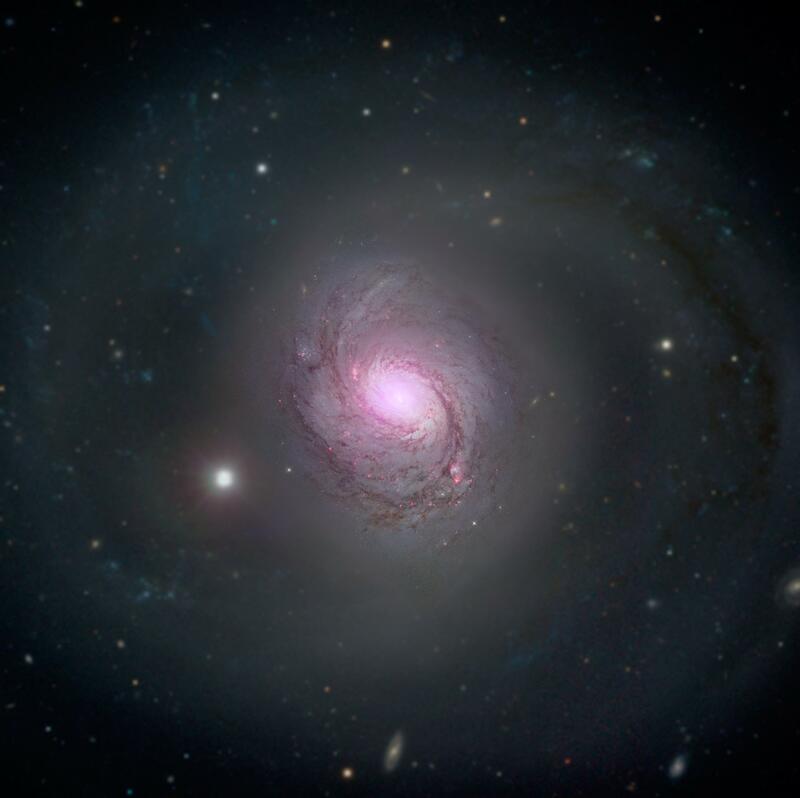 NuSTAR’s View of Galaxy NGC 1068 [and Quasar], December 12, 2015. Courtesy NASA/JPL-Caltech/Roma Tre Univ. Retrieved from JPL Photojournal. 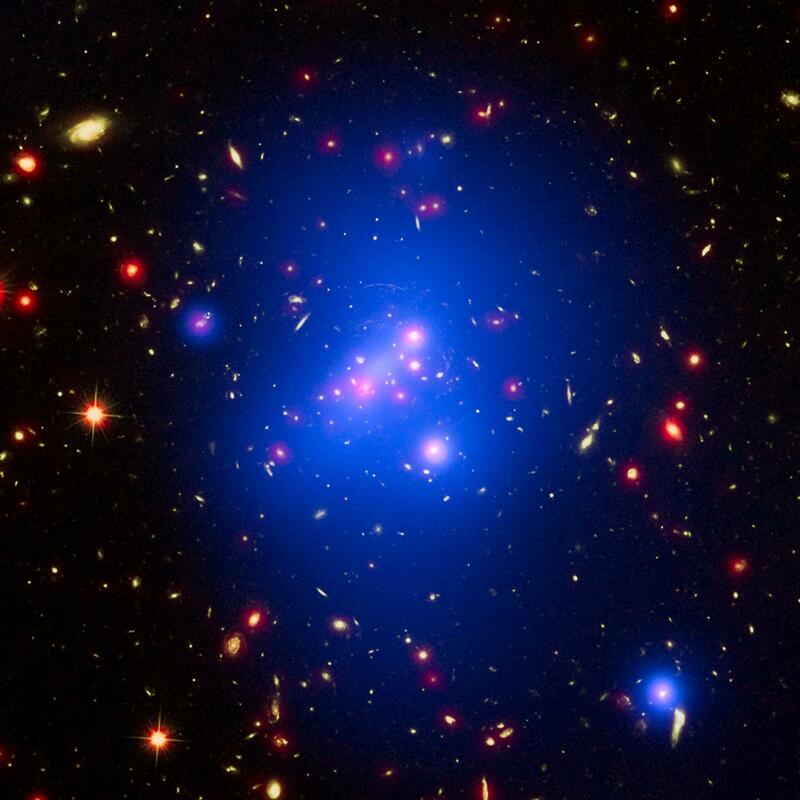 Galaxy Cluster IDCS J1426, January 7, 2016. 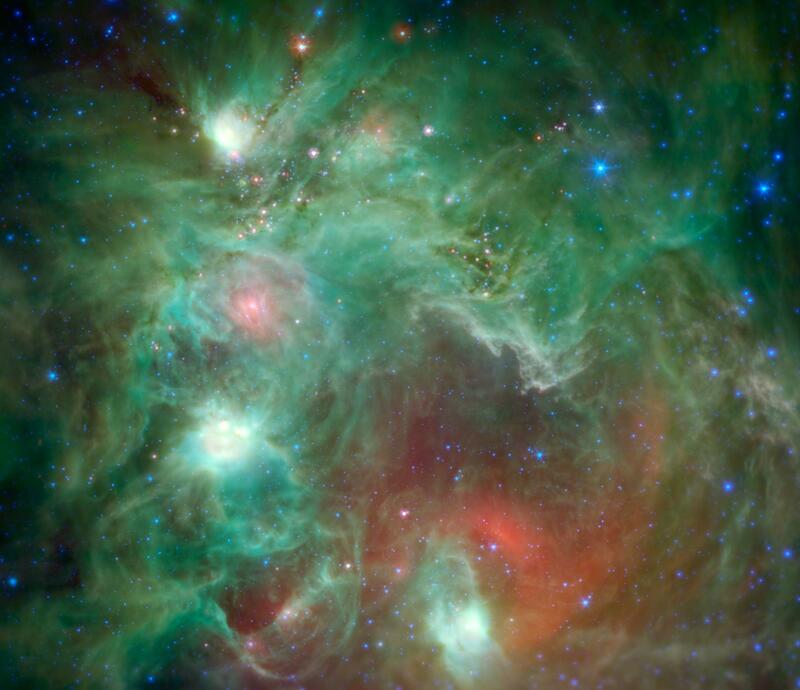 Courtesy NASA/CXC/Univ of Missouri/M.Brodwin et al; NASA/STScI; JPL/CalTech. Retrieved from JPL Photojournal.